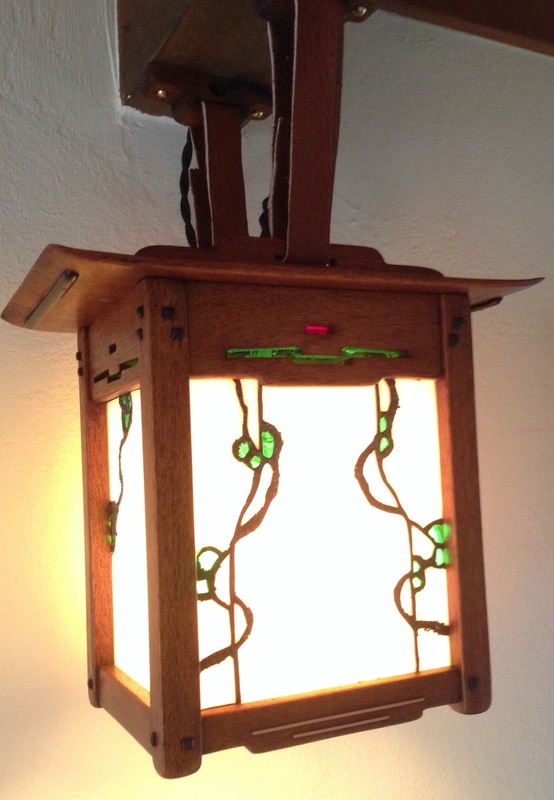 that is a sweet looking lamp. I like the 1920’s twisted cord look you used. 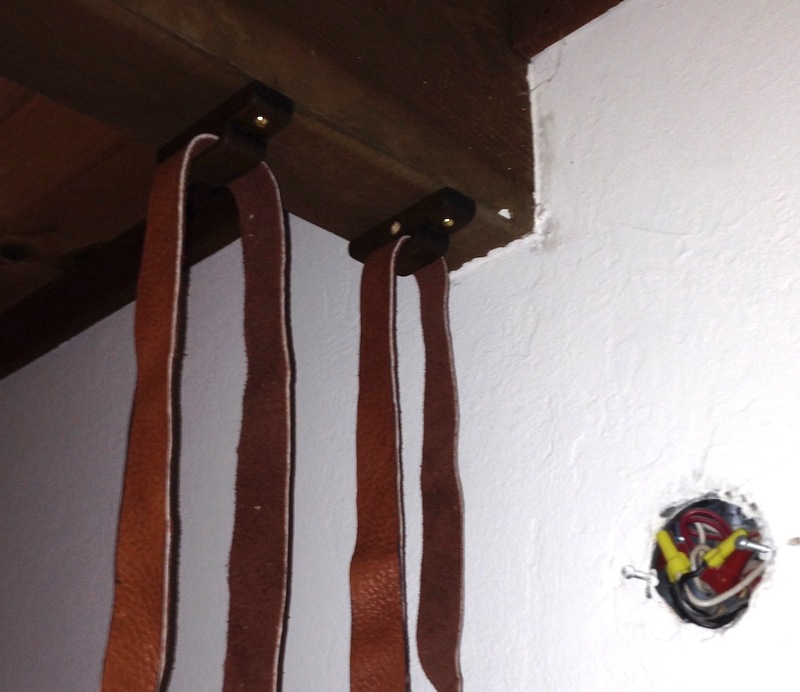 What is the program you used to make the strap holders? I used Solidworks to layout all of the dimensions/parts for this. It’s my tool of choice for 3D design. It’s pretty spendy to use for hobby stuff, but it’s light years ahead of Sketchup. 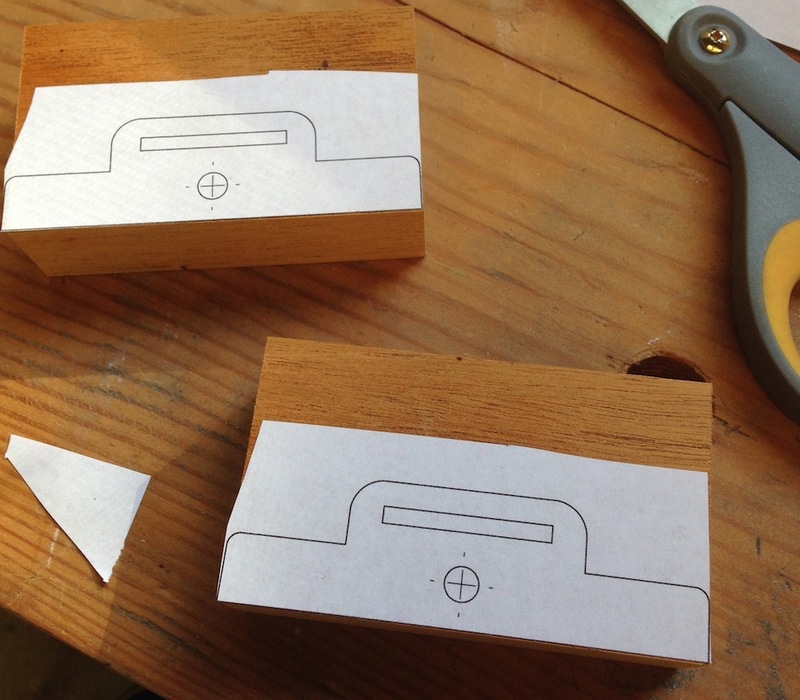 Hello Joe – Thanks much for posting your progress on this and on the Blacker House sconce too. Based on your helpful chronicle, I’m going to try a hybrid of the two, and see that you posted scaled drawings of the Blacker sconce, but not of the Gamble. Do you have any available of the Gamble sconce? Congrats on your inspiring work! I didn’t formalize a set of plans for that, just modeled it in CAD and figured out the dimensions. Drawing up plans is on my to-do list. That’s a fine sconce and piece of art work. Stop being your worse critic. I have to thank you for your comments regarding your approach to shop time. I’ll just have to get in there in short increments to get things done. Beautiful work Joe I look forward to more. I need to figure out a better plan for my shop time, it’s not realistic to be able to take on anything more than a simple project if it’s always going to stretch into a six week affair. At least, for me, it’s really tough to keep up the motivation and focus. congrats on making the top 3 over on Lumber Jocks. Thanks Ralph! That was pretty cool, and unexpected. 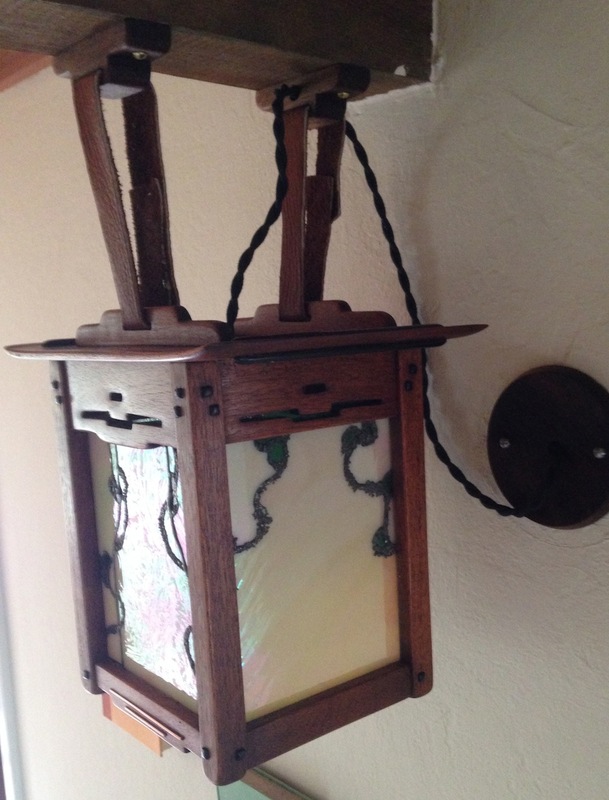 What glass did you use for the Black House sconce? I presume that it is a Wissmach product same as the gate lanterns? I’m making a modified pair myself using spalted Masur Birch and am thinking something similar to Spectrum “317-02S Iridised” (http://www.spectrumglass.com/stained-glass/products/product-detail.asp?i=283) might work nicely. I used Spectrum Medium Amber Rough Rolled in the Blacker Sconces, with the matching texture in Medium Green, Ruby Red and Grape. It’s a transparent glass, and an iridized non-transparent glass would be more original I think. 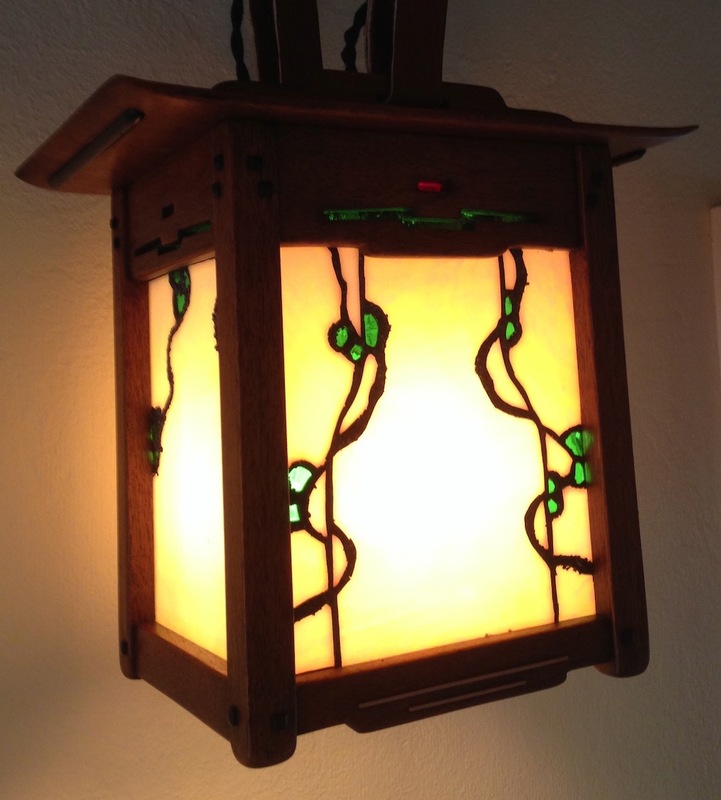 The glass I used in the Gamble Inglenook Sconce is really beautiful for example, but probably needs a 60 watt bulb behind it to take best advantage of the color. With the transparent glass in the Blacker Sconces I tried a bright white compact florescent lamp first, it looked AWEFUL. I changed to a 40 watt “refrigerator bulb” which worked well. 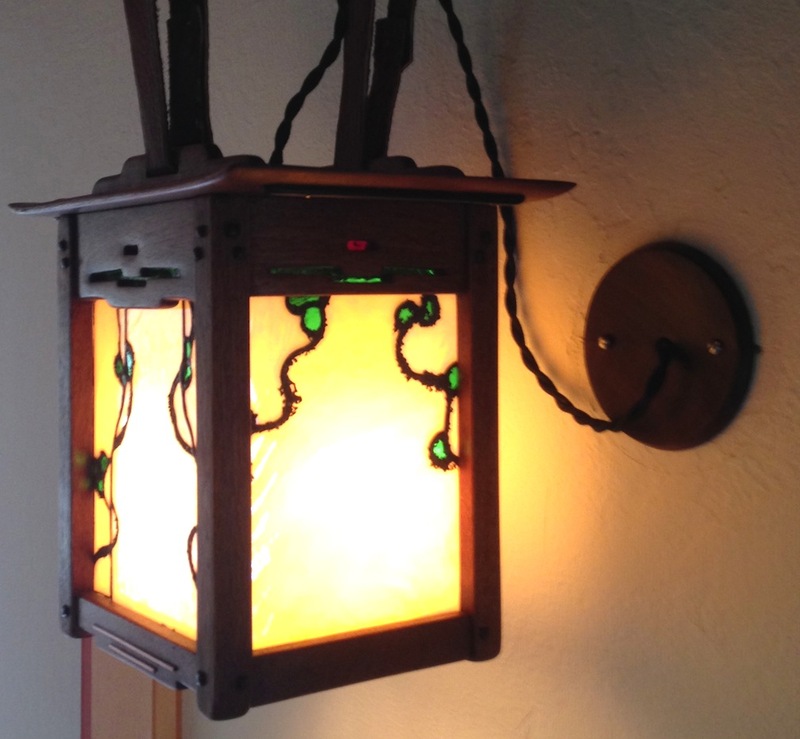 Recently I changed to 40 watt antique style lamps. They have clear glass and multiple filaments running up and down the length of the lamp. They look really nice. With translucent glass it’s important to have an attractive bulb I think. We’d rather avoid Incandescent filament bulbs like the plague; wasting 98% of energy used as heat is a significant concern given the size of the sconce’s enclosures and sense in general! They are however inherently warmer in terms of spectral output. It goes without saying how truly awful CFLs are on many levels, yes. We are planning on using LED bulbs as they are cool-running, efficient, far less blue-dominant, “instant-on” and can be dimmed. Breaking with tradition? Great! Progress doesn’t make itself. As far as that affect the choice of glass, yes; and combination of translucency and the iridised coating is better than the transparents or partials. Our personal tick points are a warmer and softer quality of transmitted light when in use and a pleasant appearance when not. Unfortunately, both CFLs and LED bulbs have those awful bright white plastic collars which are easily visible through many of the more transparent glasses. 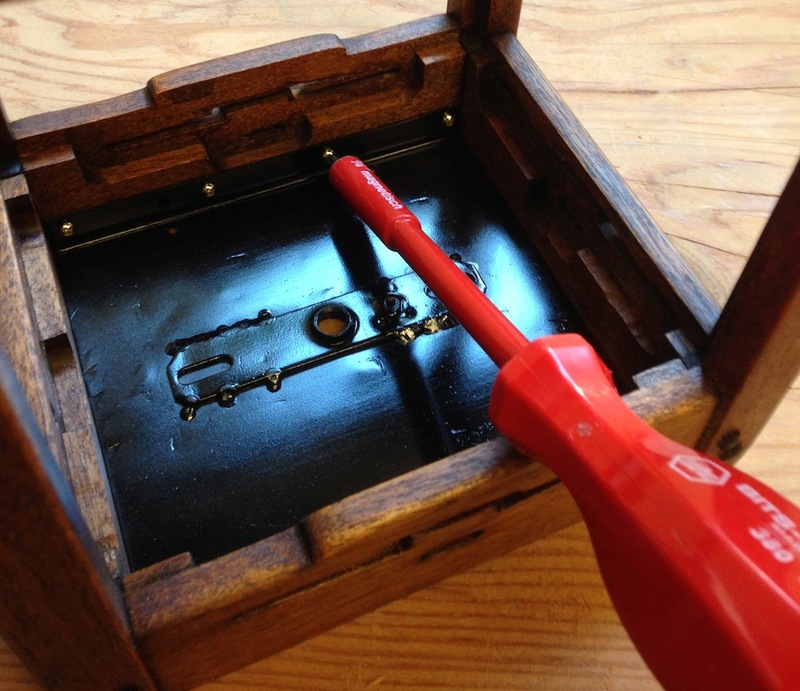 Time for some black duct tape to prove its 21st century worth….? ….the Spectrum Glass site also states that this is available iridised also. I imagine that this would be an excellent combination with a bit of decorative leading. 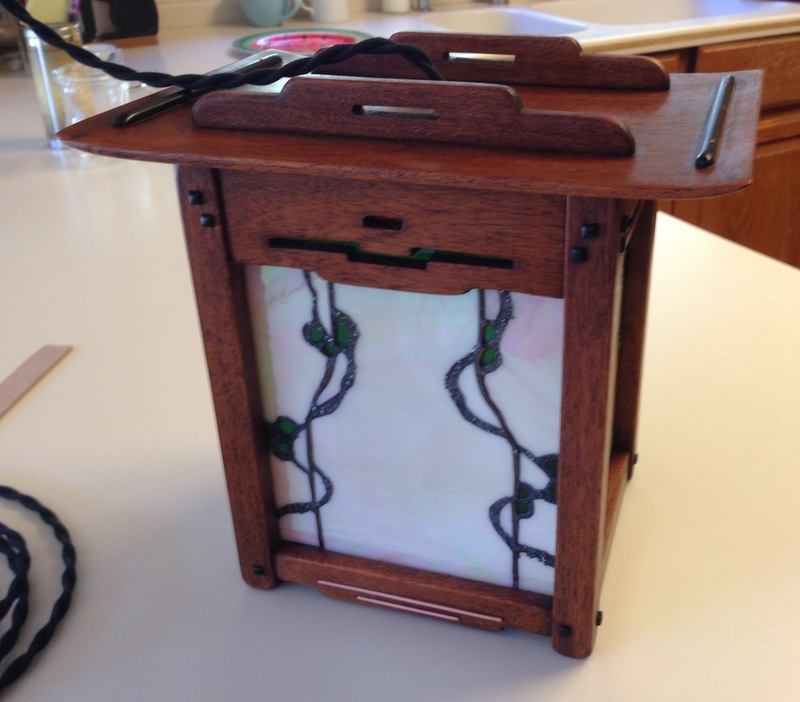 I look forward to your hanging lightbox projects….I’m also constructing one at the moment and the weight scares me….